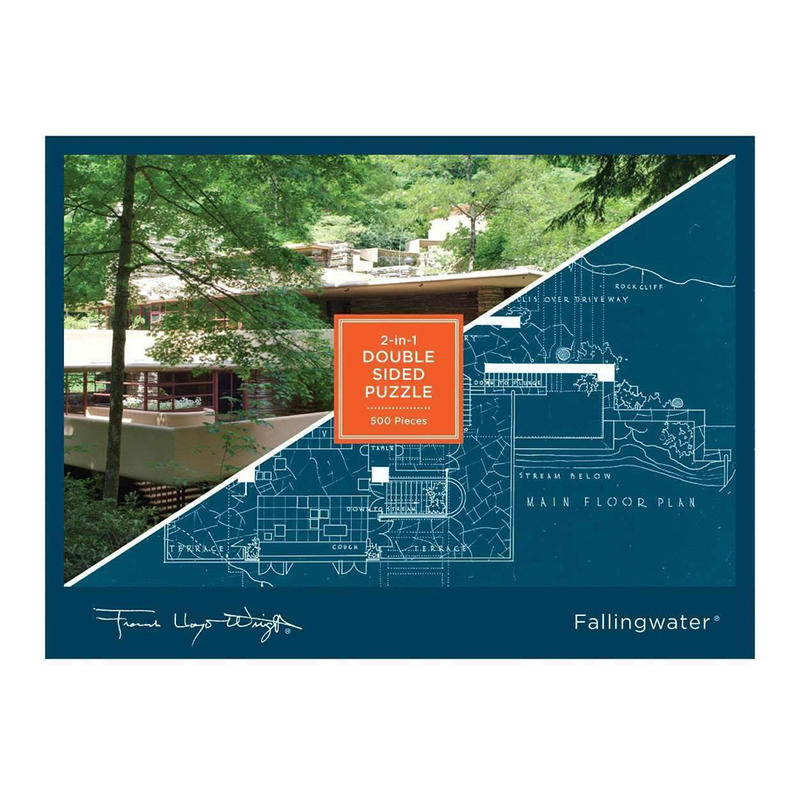 This double-sided, 500 piece puzzle from Galison features Frank Lloyd Wright's famous Falling Water House. A beautiful picture of the home's exterior on one side and an aerial blueprint of the grounds on the other make for double the puzzling! One side is matte and the other is glossy for easy sorting.